We now have “real photos” to show you what to expect when you arrive at 30 Timber Road Bed & Breakfast. If you are visiting for a romantic getaway or even a business trip to the Mechanicsburg, PA area, you want to know how comfortable your lodging choice will be. Check out this picture of the common living room where each afternoon we will provide a snack and beverage to our B&B guests. Relax and chat with other guests or grab a snack and a drink and take to your room to enjoy. 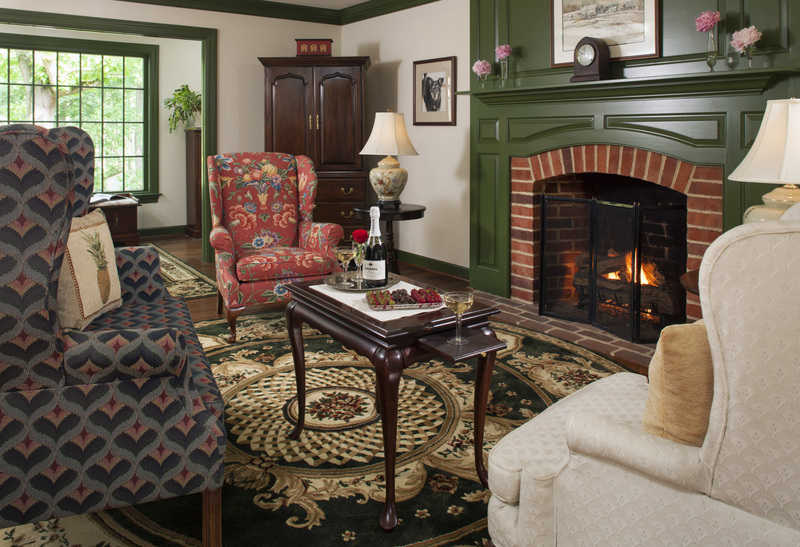 Either way, our goal is to make you feel comfortable and welcome at this secluded inn. We still have rooms available for Corvettes at Carlisle, August 21-24, 2014. Join us for a very quiet escape after enjoying the roar of the Vette engines at the fairgrounds! We are just 6 miles from the show field but a world away! We can’t wait to come to your new inn! And you have the Deneen Pottery mugs. Your place is beautiful! We look forward to seeing you two again. Our new mugs are looking for new homes too – we expect to send one home with you!